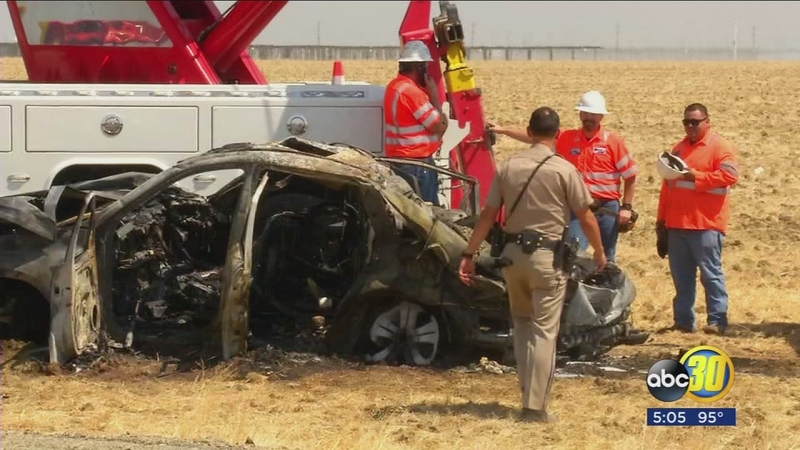 FRESNO, Calif. (KFSN) -- A sixth person has died in a crash involving a Mercedes SUV and a big rig on Highway 33 south of Mendota last week. The CHP said 58-year-old Layne Fletcher of Dinuba died on Sunday after spending several days in critical condition in the hospital. Investigators say, according to witnesses, the Mercedes ran a stop sign at Highway 33 while driving east on Manning Avenue -- traveling into the path of the big rig. All five men in the Mercedes died at the scene. "When the trailer of the big rig landed on top of the Mercedes, the Mercedes caught fire and was fully engulfed," CHP Sgt. Matt Zulim said. Sgt. Zulim says this is the worst wreck he has seen.